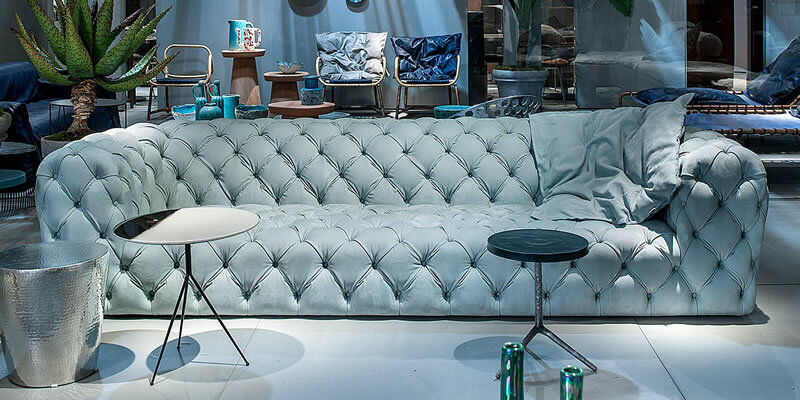 Armchair, two- or three-seater sofas and ottoman with polished trivalent chrome plated (CR3) or semigloss grey, light blue, green, brown, mud, ivory or black enamel steel frame. 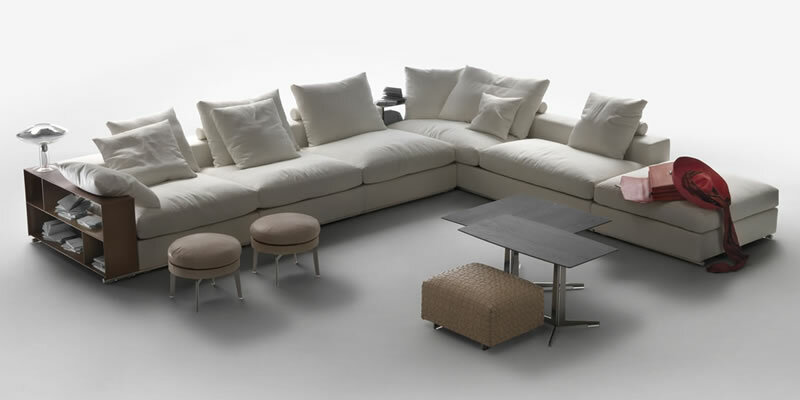 Loose cushions with polyurethane foam and polyester padding or padding in feather (excluding the ottoman) with polyurethane core. 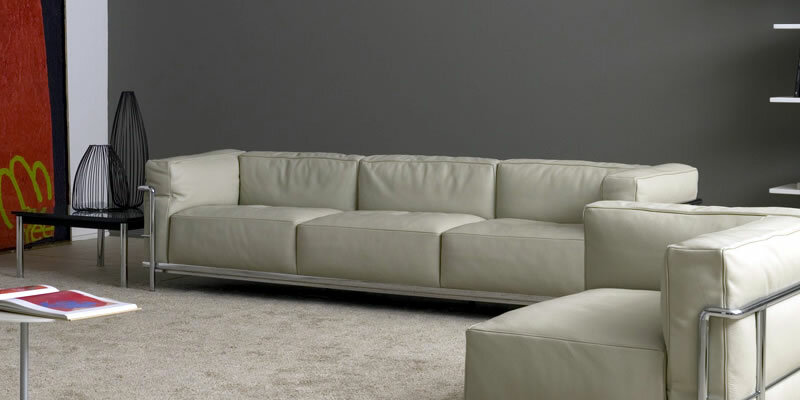 Leather or fabric upholstery; a technical microfibre fabric only for models with chrome plated frame is also available. Yet another timeless classic, one that made design history. Designed in 1928, it is the archetype of the modern chair. The careful separation of the caged frame from its inner cushions are a concrete affirmation of the chair’s rationalist approach. A true classic. Designer Antonio Citterio . High seat modularity starting with sixteen elements per type and different sizes - this is the concept behind Charles. Linear and corner compositions are developed with these elements, particularly with chaise longue end units. Peninsula-style compositions can be beautifully arranged in the centre of room. 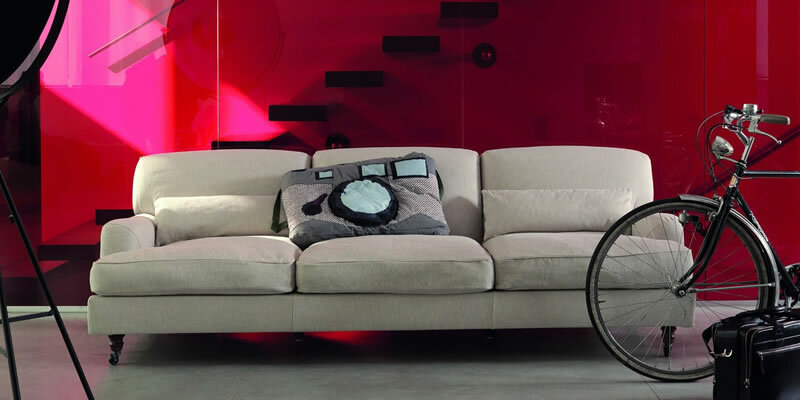 A single seat-cushion, a series of free cushions placed on the backrest, a light picture enhanced by the pure lines of die-cast aluminium feet make Charles a sofa with a decidedly modern taste. The simplicity of the basic elements and the multiplicity of possible configurations: Massimosistema is the modern evolution of the sofa. Clean lines and geometric volumes, in a perfectly-calibrated creation with generous and inviting seats. It is a collection of fixed and modular elements that can be organised as desired, in everyday combinations or more imagination solutions. Single chairs, two-seater and three-seater sofas with or without armrests, chaise-longue, peninsula elements and a pouf that can stand alone or be easily associated and joined together. The structure is built from seasoned poplar and beech with birch plywood sides and MDF infill panels. Elastic belts provide the seat springs, whilst padding is in polyurethane foam with pressed felt reinforcements. The seat cushions are padded with goose down and polyester flakes with insert in polyurethane foam. 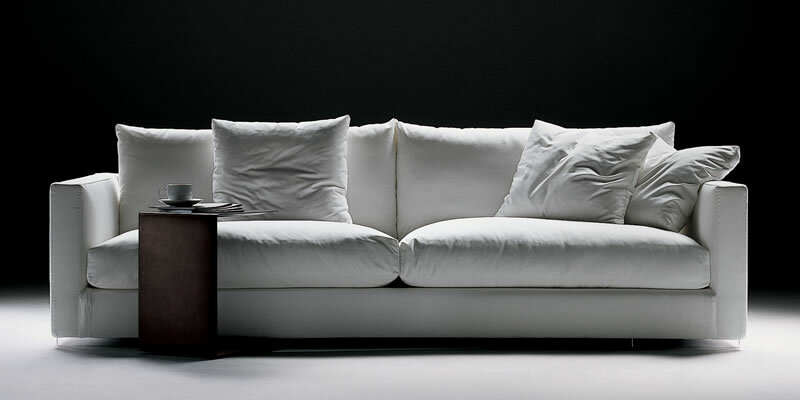 The backrest cushions, both in rectangular or square version, is padded in goose down. Upholstery options are in Pelle Frau® leather or in Pelle Frau® leather and Fabric, this one combines the same structure and cushions lateral leather bands to the fabric of cushions and of the inner surface of the seat. 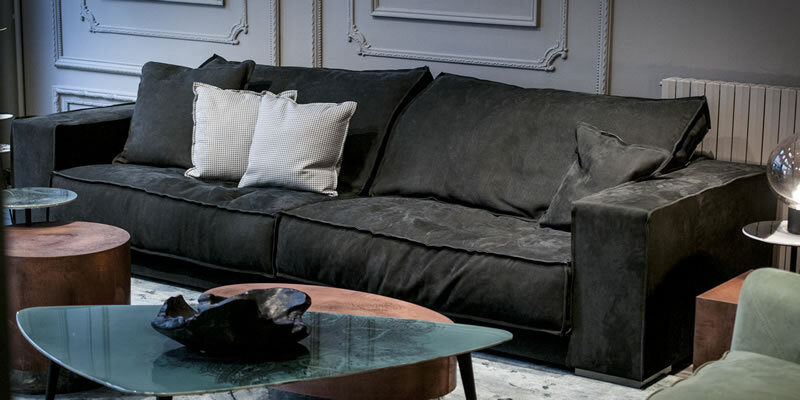 Versatile, flexible, adaptable: deep or very deep, with low or high armrests, linear or in other compositions, the SOFT DREAM sofa rises lightly off the floor thanks to an elegant metal base that supports a thin metal tray covered in cowhide on which to place the soft, airy cushions. A sophisticated design that conserves the lightness of the FLEXFORM stylistic code and makes a promise with its name. SOFT DREAM: a soft sofa, for dreaming. Ray is a seating system born from the careful convergence of proportions and volumes typical of Antonio Citterio. This modular system,which starts from linear elements, can be extended to include chaise longue, terminal element and ottomans. 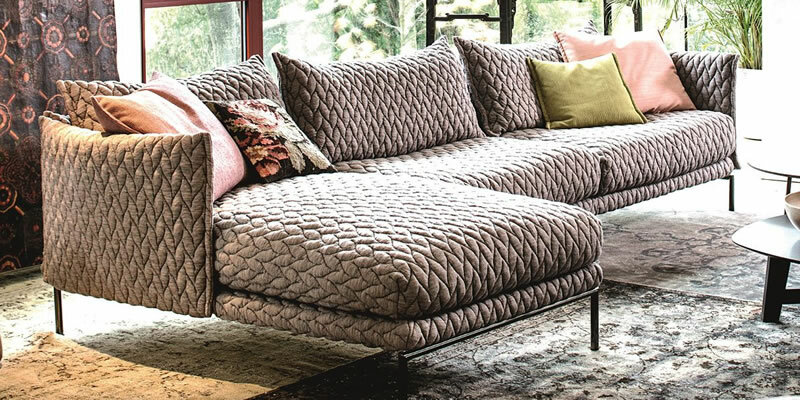 Although the primary focus of Ray is on comfort with every element at a dual depth, the design is in the details as it features a beautiful blanket stitch tailoring that enriches the removable covers. Created with two depths, this sofa has a more traditional version and an extra large version for those that want a truly relaxing position. 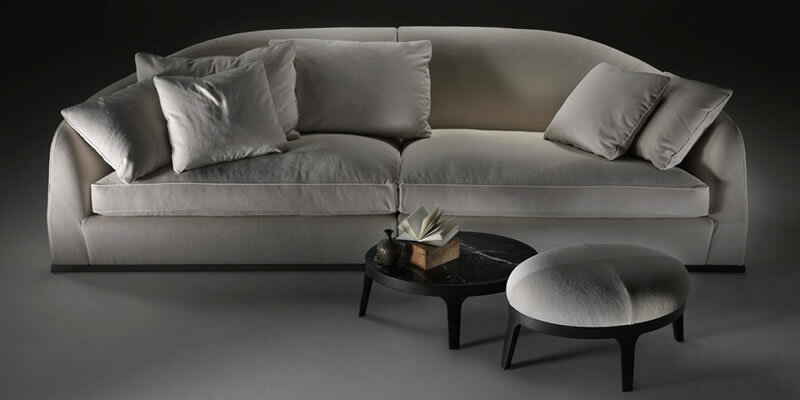 A main feature is the U-shaped foot in bronzed nickel die-cast aluminium that, along with the seat cushions, contributes to creating an image of Ray as a low sofa - a particularly elegant piece. Its sense of comfort is expressed through its many soft cushions, the exact number of which depends on the image that one wants to convey. Even the solid or contrast fabrics contribute to determining its personality. Armchair, ottoman and two or three seater sofas. Steel frame and black plastic material base. CFCfree polyurethane foam and polyester padding. Seat cushions in polyurethane foam and polyester padding. Back with movable headrest which is istantaneously convertible from the low to the high position. The sofa headrests are individual and independent for each seat. Fabric or leather upholstery. Comfort made manifest in one great design. 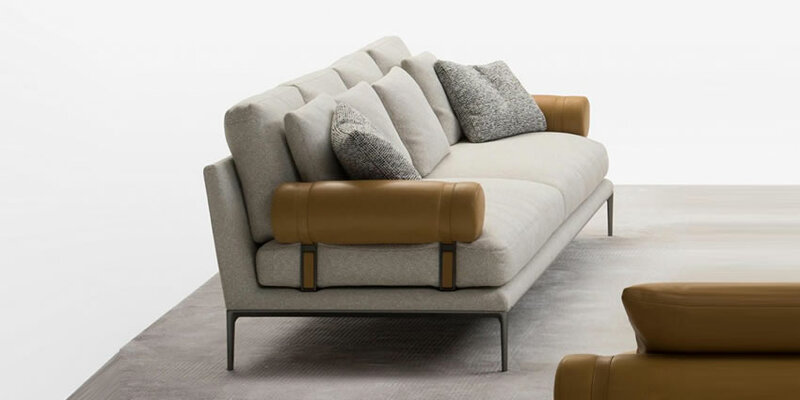 The story goes that Cesare Cassina punched his fist into the original prototype by Magistretti complaining that it did not fit the brief for true comfort. It was only after the back had been broken that the Milanese architect hit on a better solution to replace traditional upholstery. This award winning design won a Compasso d’Oro in 1979, and naturally spawned countless imitations. 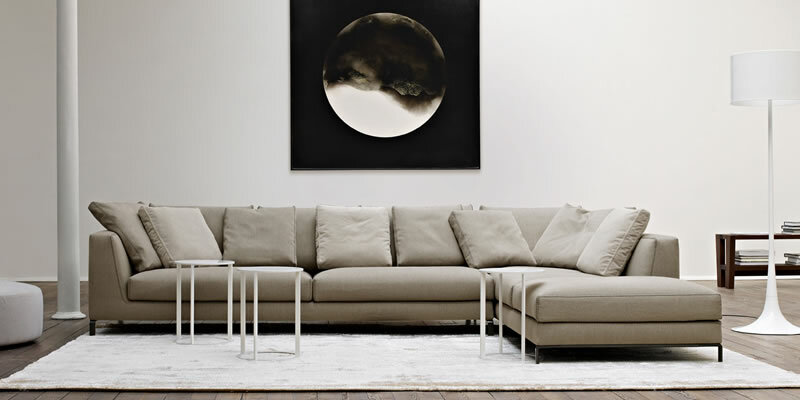 A linear component sofa and armchair with a clean, contemporary look. The light structure welcomes generously padded goosedown cushions bordered by thick relief stitching. The base in metal tubing is covered in leather or fabric, raised off the floor by metal feet. 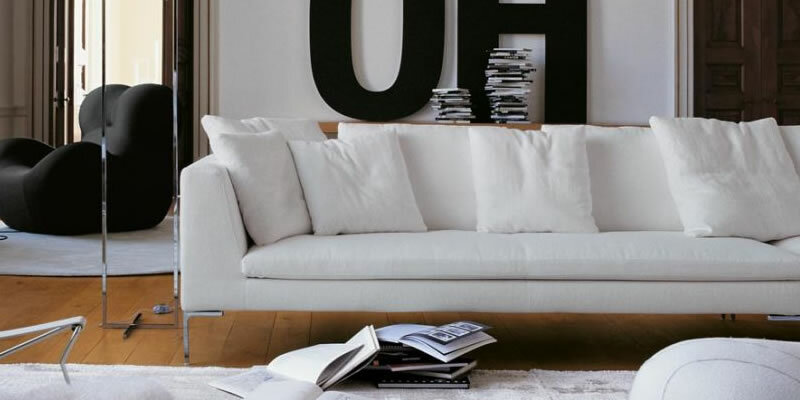 The soft armrest and back cushions slide over the structure, and are crossed by original lengthwise stitching that produces a gentle hollow on the surface (in fabric or leather): an interesting graphic sign that becomes the distinctive feature of the sofa. The horizontal stitching on the armrest and back cushions follows and accentuates the natural folds created by the act of sitting. Jean-Marie Massaud takes inspiration from the world of saddlery and design GranTorino. A huge amount of freedom in how you put it all together. 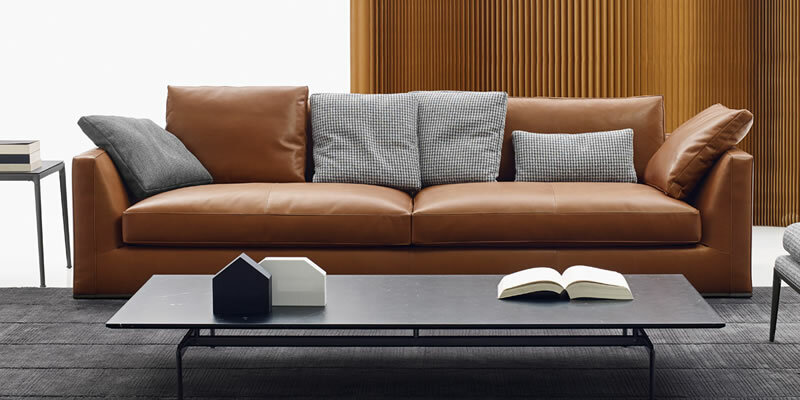 A modular sofa with an exquisite, original version that combines Saddle Extra Leather with Pelle Frau® leather or fabric. Hand-cut, hand-shaped leather closely moulds the lines and structure of the seat. The high and slim armrest also presents intricate, careful workmanship. The small but spacious trunk-container also acts as an armrest and it’s out fitted with an elegant, natural oak tray. 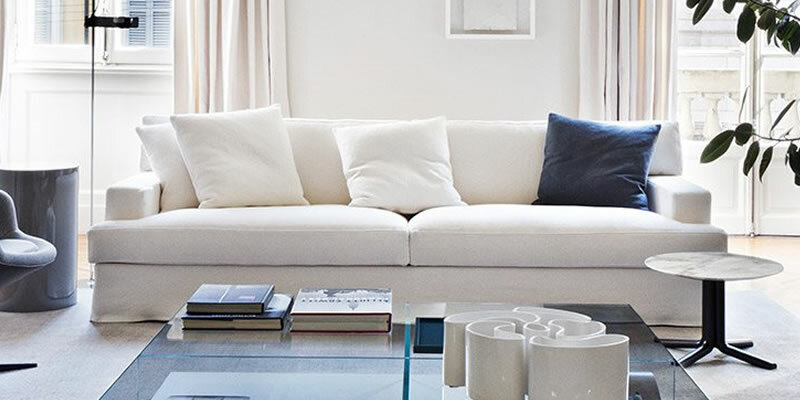 The cushions have beautiful horizontal stitching in the centre, which gives the sofa a sense of visual lightness. Comfortable seats, compact, well-cut shapes that reduce the overall dimensions to a minimum, and subtle T-shaped feet that are hidden from view and raise the frame off the ground. The GranTorino frame is in tubular metal with interwoven elastic straps. The backrests and armrests are made of birch and poplar plywood. The padding is made of pressed felt and polyurethane foam in varied densities. The backrest cushions are padded with goose down and have separate horizontal chambers for varied, ergonomic comfort. The feet are aluminium with titanium-coloured varnish. This seating system comprises three sofas, which can also be used individually, and modular padded elements: two or three-seater end units with left- or right-hand armrest, two-seater center units, corner units and left- or right-hand chaise longues, ottoman and center or end low tables. Each element rests on a “beam” base: geometric, formal, with a strong aesthetic impact, the base is the functional core of the system. 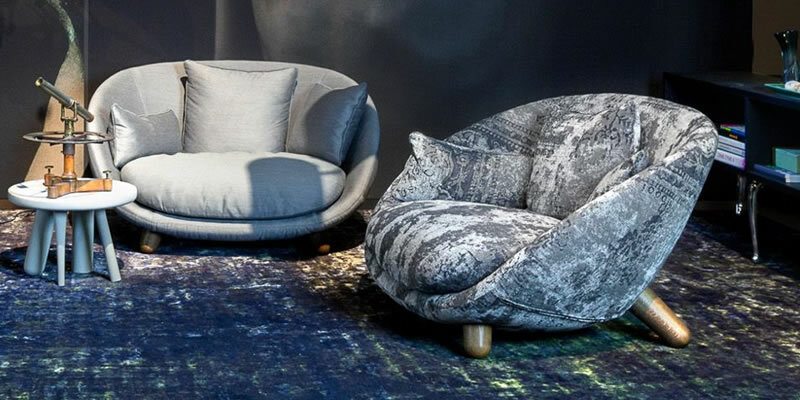 Indeed, it enables various confi gurations to be created, arranging the padded elements together or alternating the seating, tables and ottoman in interesting compositions. This contemporary take focuses on practicality and comfort together with attention to detail, to enhance its aesthetic characteristics: soft, cosy yet not excessively huge cushions, the high back, stitching detail along the edges, the sideways protrusion of the overlapping back and the armrest and the two possible positions of the armrest for quality relaxation. Structure: steel tube. Padding: variable density CFC-free polyurethane foam. Base: black anodised aluminium. Feet: clear plastic. Removable upholstery in fabric or leather. Table fi nishes: American walnut, natural oak, blackstained oak, cement-stone. 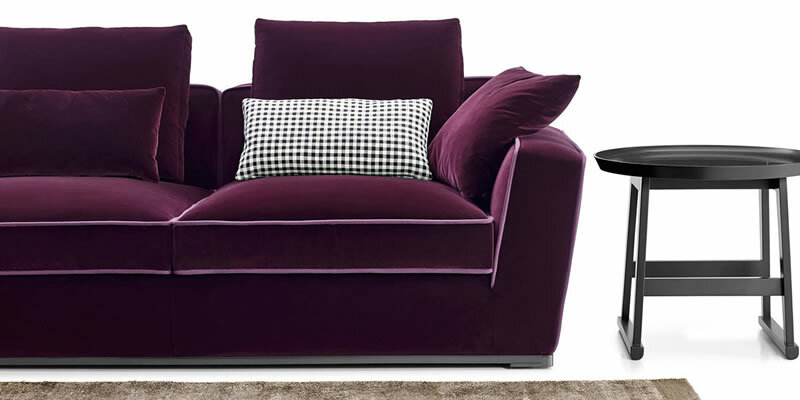 Have you ever fallen in love with a chair or on a sofa? Both experiences are possible, even probable while enjoying a romantic dinner for two in the Love Sofa by Marcel Wanders. Whether you are flirting with your beloved or with a box of chocolate, enjoy the sweetness of Love! 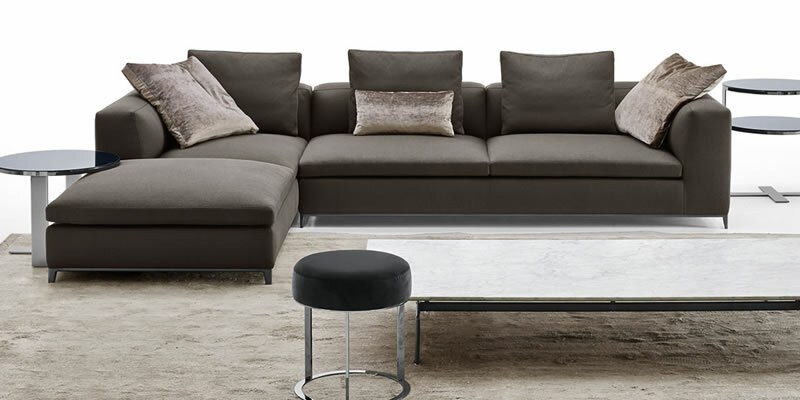 Collection composed of armchair, twoseater sofa in two sizes, three-seater sofa, right or left chaise longue; modular units: corner unit, right or left twoand three-seater units and right or left chaise longue. Seat structure in extruded aluminum profile with elastic straps and covered in fabric or leather. Panels in CFC-free polyurethane foam covered in fabric or leather. Seat cushions, backs and armrests in differentiated density polyurethane foam with feather (mod. 202) or polyester padding (mod. 203). Frames in die-cast polished aluminium or anthracite colour. Feet in plastic material. Cushions upholstery in removable fabric or leather. Richard is the new seating system, which distinguishes itself by its balanced contemporary design, with references to classical atmospheres. Its modular theme is developed by 76 elements in two depths: 90 cm for more formal and contained solutions, and 120 cm for larger compositions and more informal seating. The extreme flexibility of the system and the ease with which the different elements can be assembled allows the living space to be interpreted in the most varied configurations, from formal to more relaxed, with seats, benches, ottomans and chaise longue. 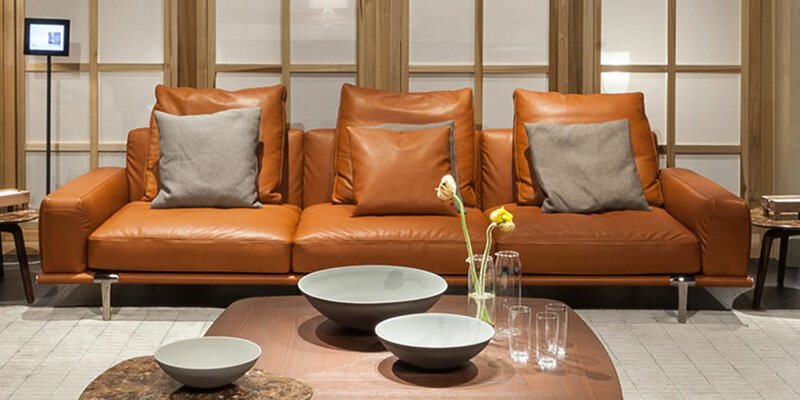 The wide range of covers, in fabric with matching tones or contrasting profiles, and in leather with profiles in the same leather, allows an even greater level of customization, offering monochromatic or contrasting solutions. The structure is emphasized by a metallic profile at the base; either black chromed or pewter painted. Four sizes of optional cushions (65x50 cm, 48x48 cm, 55x30 cm, 38x38 cm) increase the comfort. Also available in "Soft" version. Modular article. Double-panelled fir and poplar frame. Feet in brushed unfinished metal, untirust protection with matte varnish. Differentiated density polyurethane foam filling with acrylic fibre covers. Springing with woven elastic straps of covered rubber. Seat cushions in washed and sterilized goose down with pad in differentiated density polyurethane foam. Back cushions in washed and sterilized goose down. Leather upholstery with sharp edge stitching. Available in all soft leathers. Optional cushions in washed and sterilized goose down (48x48, 60x60 or 75x75). Named after the coral formation B&B Atoll, the new modular seating system by Antonio Citterio, is a refined expression of a balanced aesthetic form and a decisive contemporary style that is also extremely elegant. 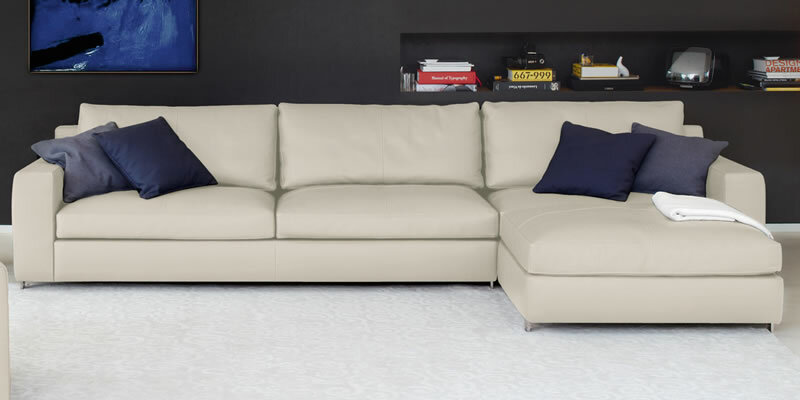 The system is built on three basic platforms - 190 cm and 240 cm, both with 90 cm depth, and 130 cm with 140 cm deep - that are complemented by armrest and backrest elements to form various types of seats: sofas, dormeuses, corner-end modules, single or modular elements with chaise longue and ottomans. The frames have light, slender lines and are applied on high die-cast supports with metal profile emphasising the line between the structure and upholstery. Two finishes are available, pewter and black chrome. The pieces are given even more character by a supporting element to be placed wherever desired, a bolster in two sizes - 65 cm and 90 cm - attached by leather straps to a die-cast structure. This accessory can be inserted between the seat cushion and the base structure to provide an additional support or become an armrest or backrest at will. B&B Atoll is a dynamic project with a constantly fresh ability to adapt to different compositions and create different seating types, from informal relax versions to most formal, also made possible by the use of complementary back cushions. 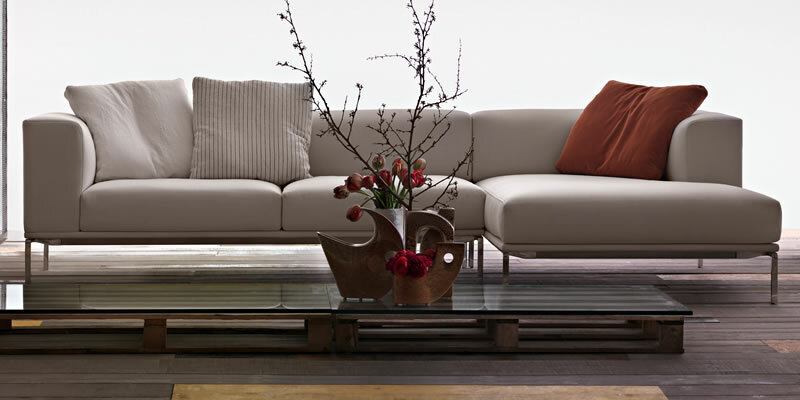 The natural evolution of the sofa, Let it be’s philosophy is implicit in its name. A famous song by the Beatles, it is evocative of a period of newfound freedom from all types of formalism and convention. The Ludovica + Roberto Palomba project also embraces and reinterprets the time-honoured Italian concept of the Roman triclinium, where people lay down, ate, talked and lazed about. A modular system open to the most comfortable of configurations, Let it be is an invitation to relax. It can be completed according to taste with shelves and storage units that expand its functions. It is a welcoming refuge where you can finally leave your worries behind you and rediscover your own time and rhythms. An authentic island of wellbeing equipped with everything you need. It is also informal and inviting in terms of its light aesthetic. The structure and the soft down cushions appear to be suspended on saddle leather straps. The foot, unexpectedly set back from the corner, enhances the sensation that the seats are floating in space. The purity of the design melds with the precious details. The visible leather and saddle leather stitching bring to mind the processing of fine saddles and harnesses. The structure and cushions are upholstered in Pelle Frau® leather from the Color System, Nest and Soul leather, also in combination with fabric. Alternatively, Cuoio Saddle / Saddle Extra leather can be combined with Pelle Frau® leather or fabric. The shelves and armrest or backrest surfaces are upholstered in Cuoio Saddle or Cuoio Saddle Extra leather. 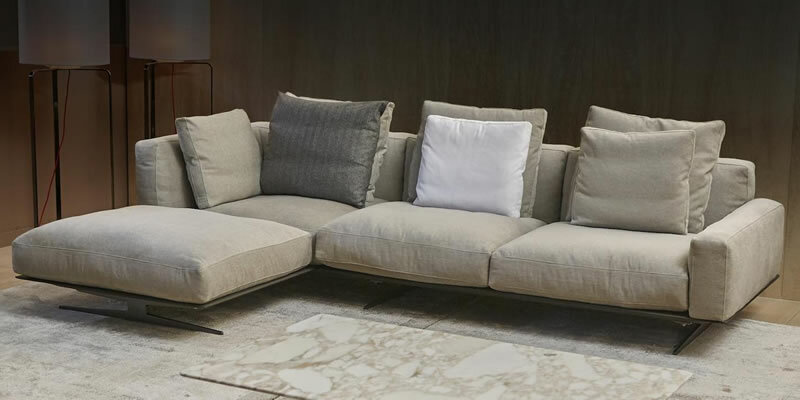 The range of Maxalto sofas has been further expanded with Lucretia, a modular system that includes traditional seating designs distinguished by a seat cushion with a band and trim or decorated with capitonné stitching. All elements with traditional seating can be custom made, while still preserving all the formal features and comfort. Covers are available in leather with dyed trim or fabric with matching trim or contrasting velvet trim. Armchair with two arm-rests and armchairs with left or right arm-rest, two- or three seater sofas with polished trivalent chromeplated (CR3) or semigloss grey, light blue, green, brown, mud, ivory or black enamel steel frame. 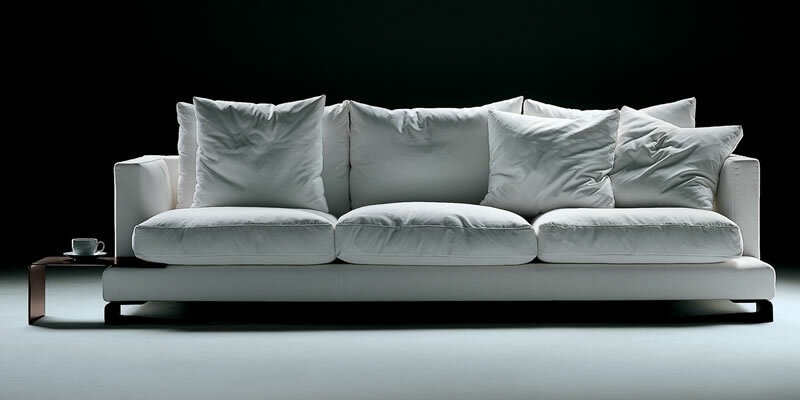 Loose cushions with polyurethane foam and polyester padding or padding in feather with polyurethane core. 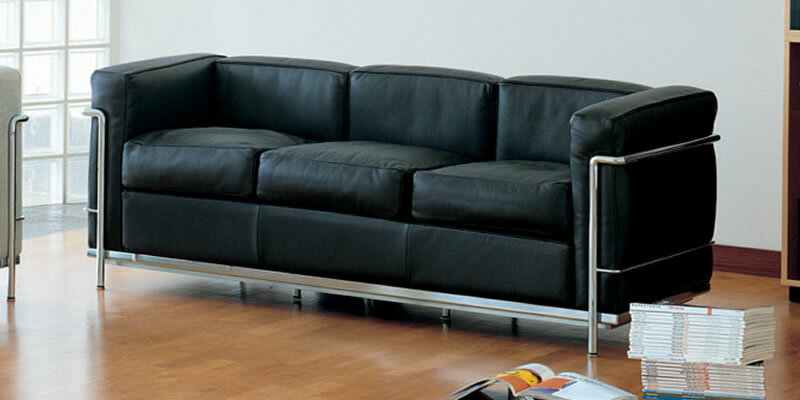 Leather or fabric upholstery; the models with chrome-plated frame can also be upholstered with a technical fabric. An outdoor version is also available for this model. 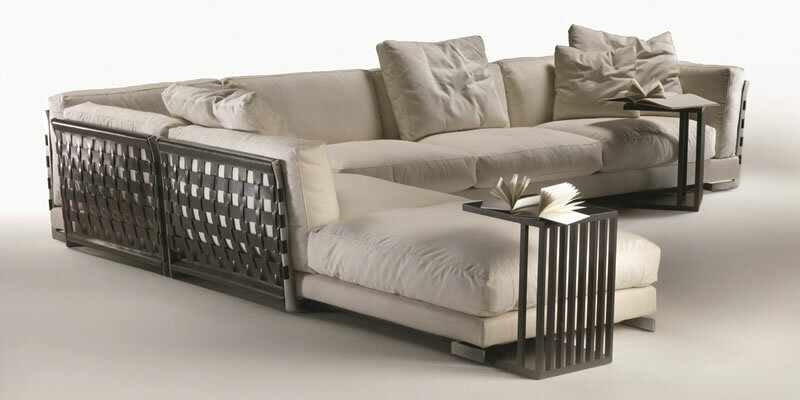 Four cushions, free of connections, are held within a lacquered or chrome-plated steeltube cage making up the primary support of the object. Michel club by Antonio Citterio is an evolution of the Michel seating system, successfully presented in 2012. Orientation towards a new formal and technical typology that resizes proportions of the frame and the cushions makes Michel club a more traditional yet contemporary design proposal. The variety of the elements allows an extremely flexible interpretation of the living space: 34 linear and modular units in different sizes and five ottomans, square and rectangular, allow for different compositions with different functions ranging from familiar to formal. Comfortable back cushions with a headrest and additional cushions in various sizes make the seating relaxing or suitable for conversation, but always comfortable and very elegant. 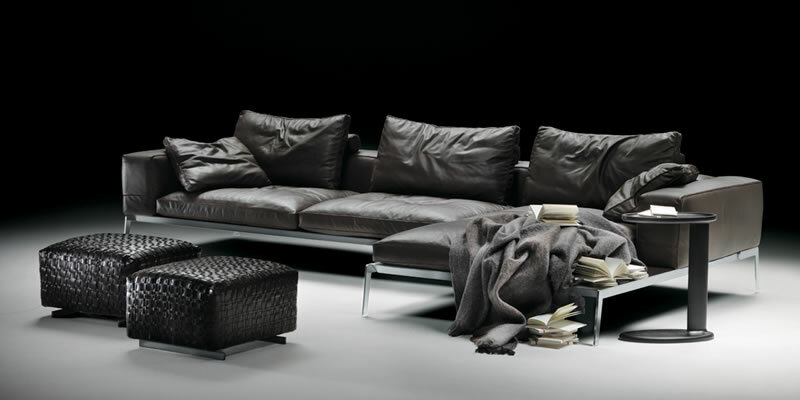 Michel club is available in a wide range of fabrics and leathers from the B&B Italia collection. Combining different textures and colors allows an even greater level of personalization of this seating system. 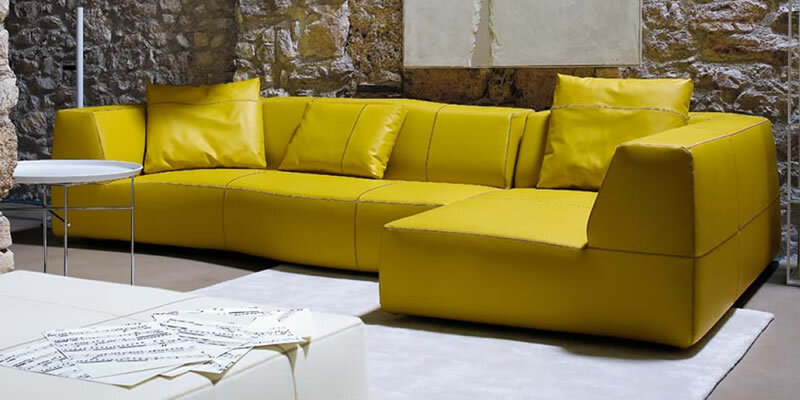 Sofas with removable cover, non-deformable polyurethane padding. Seat cushion in polyurethane and reinforced feathers. 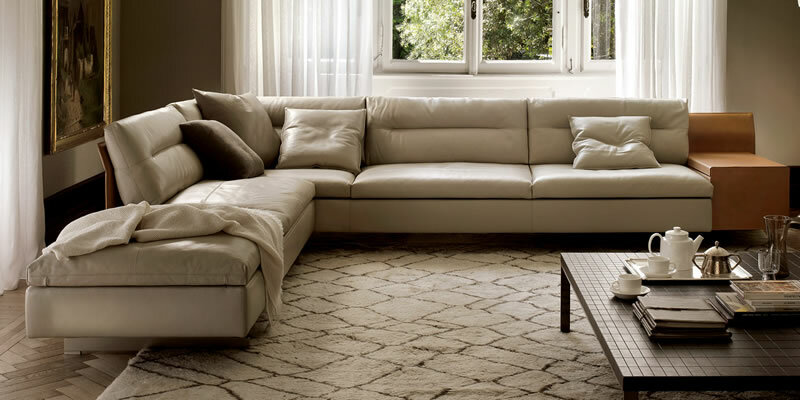 Two-seater sofas, left and right end units, center or corner units, ottomans, additional rectangular or square back cushions. The wide proposal of elements, with feather or polyester padding, composing the seating system Miloe, has been further increased with the introduction of a left or right corner unit having reduced dimensions (94x94cm / 37”x37”) compared to the existing one (115x115cm / 45.3”x45.3”) and a left or right chaise longue (110x165cm/43.3”x65”). Framework with elastic belts and a CFC-free polyurethane. Polyester or feather padding with polyurethane core. Upholstery is in removable fabric or leather. Additional cushions, feather padded, are square with edge in either the same fabric as the covering or in different colours gros-grain the rectangular cushions come without piping). A series of side tables, in dark stained oak or crystal, completes the system. Patricia Urquiola’s has designed a surprising series of seats that transforms the traditional concept of the sofa. 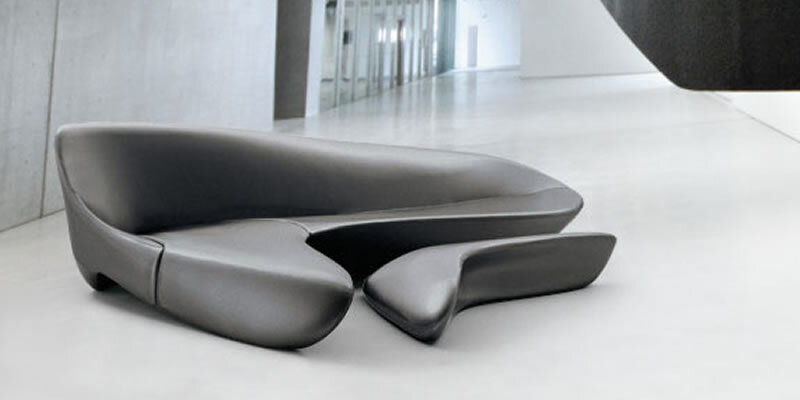 She has entitled the product Bend-Sofa due to its curvaceous albeit monolithic form. It gives the appearance of being manually moulded from a supple material as if by a sculptor. In practice, it issues from a study of 3-D models and digital research. Bend-Sofa effectively conveys the idea of motion by alternating full and empty spaces. Contrast stitchings add to the intrinsic design on the surface. The back is irregularly shaped, but without compromising comfort. Curved modules - assembled starting with the seats, ottoman and corner elements - form a sofa that breaks out of the usual visual schemes and differentiates from other contemporary pieces on account of its calculated eccentricity. 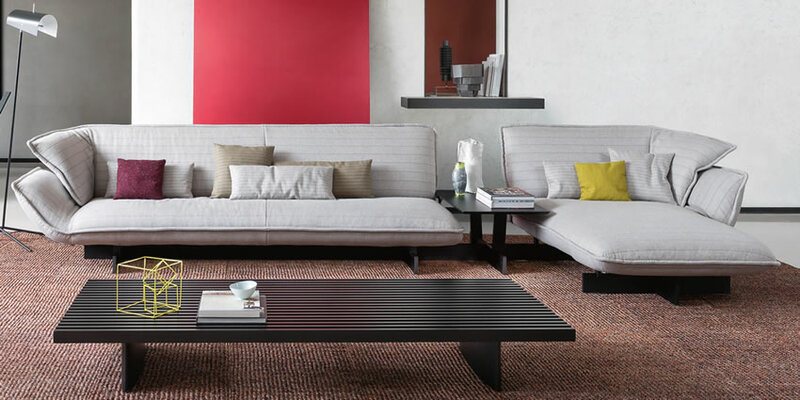 Bend-Sofa offers flexible composition solutions, including small linear versions, corner solutions or a spectacular (non necessarily domestic) version that can fill a space with double-sided seating arrangements, becoming the absolute centre of attention with its iconic presence. Quilted button back model. Structure in fir plywood. Seat frame in fir. Base in wenghé-stained beech. Differentiated density polyurethane foam filling with acrylic fibre covers. Springing with woven elastic straps of covered rubber. Hand-made capitonné work. Available in all soft leathers. With its unmistakable distinctive profile, like the buildings designed by her, Zaha Hadid creates a highly dynamic corner sofa. It looks like a “single block” that contains, as if ‘sculpted’ into a single material, the backrest, seat and armrest, which match the ottoman that perfectly corresponds to the hollows of the seat and follows its profile. 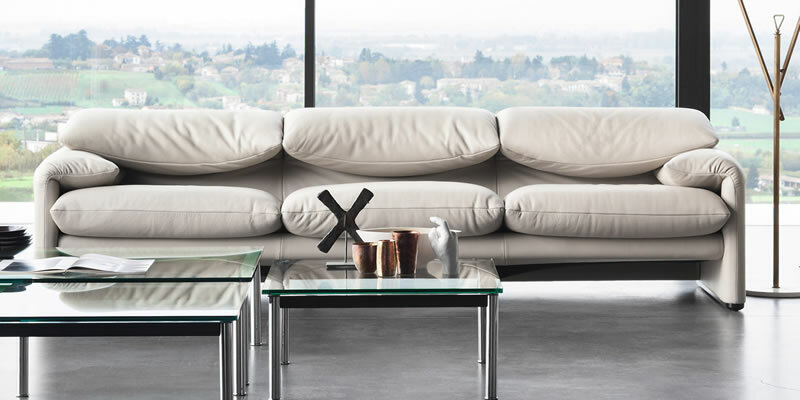 It is a powerfully iconic sofa-sculpture that does not renounce ergonomic design. It is ideally placed in the centre of a room. Armchair, monobloc, modular sofas, lounge-chairs, day-bed, pouf and shelf. Polished or black painted aluminum alloy feet. Steel frame. Elastic strips suspension. Seat upholstered with polyurethane/heat-bound polyester fibre. Back cushion upholstered with self-extinguishing polyurethane foam/heat-bound polyester fibre. Seat cushion upholstered with goose feathers – 100% pure material. Back cushion upholstered with goose feathers – 100% pure material. Fixed internal nylon cover and cotton cover for the cushions. Removable external cover in fabric or leather. The lounge chairs without armrest are fit to arrange on their longer side a solid wood shelf, in natural or grey painted oak or in natural painted Canaletto walnut. Shelf supports in polished or black painted aluminum. Solatium from the Apta collection is the new classic seating system that includes 140 different elements. It features severe sizes softened by precious, elegant details. Its contemporary nature comes from its modular flexibility. Several different configurations are possible, playing on the double depth of the elements: linear sofas with chaise-longue terminal elements, dynamic corner sofas with armrests and backs of different heights and lastly, the ottomans. The frame is emphasized by metal profiles with bronzed nickel or black chrome finish. The seat cover and cushions is available in a wide range of leathers or fabrics, with matching profiles in fabric or leather, to offer monochromatic or contrasting solutions. To complete the system, small tables and consoles in various shapes and finishes that combine harmoniously and make the proposal elegant and very exclusive. Armchair, pouf and two- or three-seater sofas. The seat cushions are filled with goose-down. The lower back support cushions are filled with polyester padding. The front feet have swivel casters; all four feet are in wood. Completely removable cover. The LONG ISLAND sofa collection has a padded wooden structure, featuring an armrest that is slightly set back from the base. 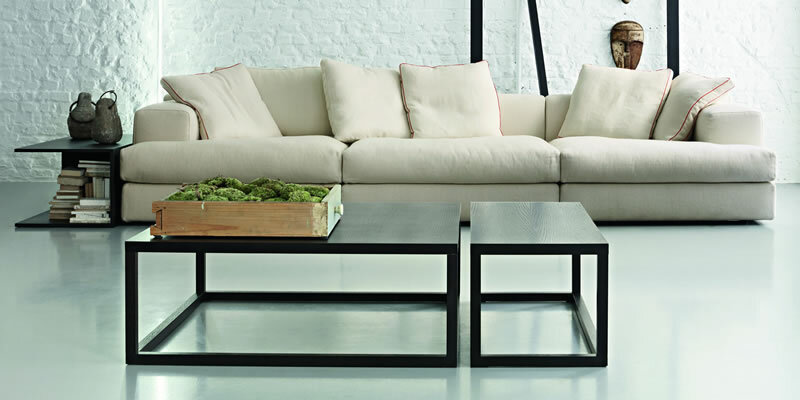 Handy service tables can be inserted, covered in cowhide, which fit perfectly into the sofa, echoing the form of the foot with their L-shaped section. With an entirely removable cover, Long Island has a substantial seat cushion and back cushions in down, with a bolster. The sofa’s comfort is enhanced by the mobile back and the many down throw cushions, for a product with a sober, sophisticated image. Amoenus is a range of chairs with a strong personality offering great comfort. Linear sofa with a deep seat padded with down; the corner or chaise longue version marked by a sizeable and enveloping backrest-armrest. The circular and rotating sofa can be used as a mid-room highlight piece. All of them include a bottom trim of bright brushed extruded aluminum. As a possible match, the revolving armchair with curved backrest. 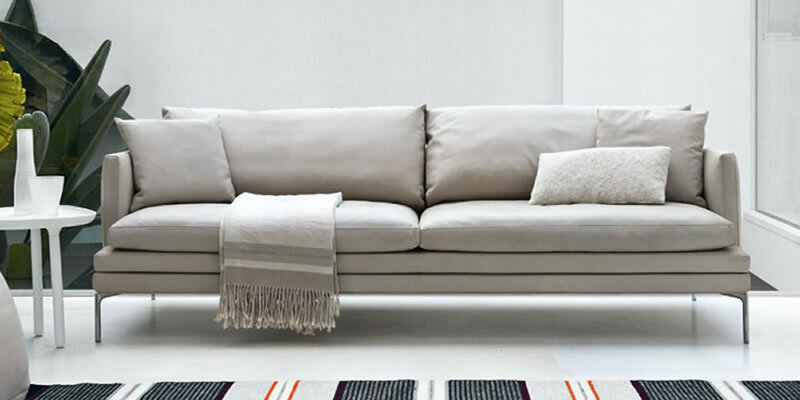 Legless sofa on metal base, for linear or varied configurations. The enveloping back lowers gradually at the sides to become the armrest, gripping the comfortable goosedown seat cushions. A corner element fans out to create a curved composition also suitable for large spaces, perfect for lounge areas and waiting rooms. In the chaise longue version, which can be used to complete the sofa, the armrest is lowered to make room for the large seat cushion. The cushions can be bordered in grosgrain in a range of hues, adding a note of contrasting color that forcefully brings out the lines of the design. 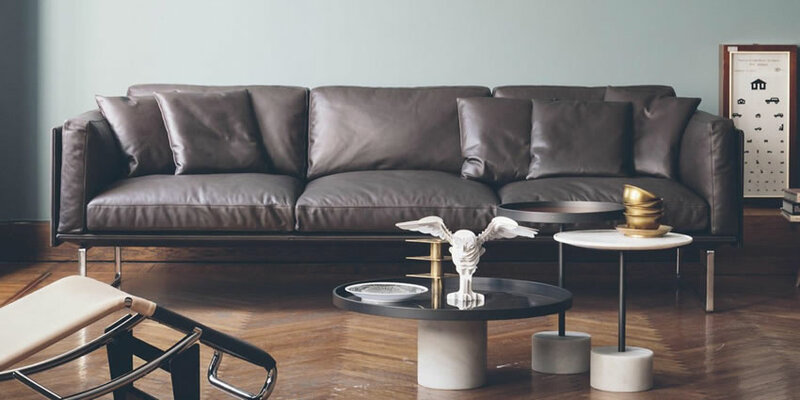 The CESTONE sofa emphasizes its back, an often overlooked part. The sides and back are made with large strips of cowhide, woven in a broad pattern on a metal structure. The aesthetic result is a sophisticated checkerboard that brings a prestigious image, of particular value when positioned at the center of a room. From the same collection, the Cestone bed reprises the elegant cowhide weave on its headboard, introducing a panel of materic thickness that forms a contrast with the simplicity of the bedframe. The sofa can be combined with the Cestone tables with tops in natural or stained ash wood, an apt match for the warmth of the cowhide. The tables are fastened to the structure of the sofa and become an integral part of its design, adding dynamism to the configuration. The tables, placed freely by the bed, become handy bedside units.